At Crystal Clear Nutrition, individual and group nutrition counseling and education is provided by an experienced and licensed nutrition professional. 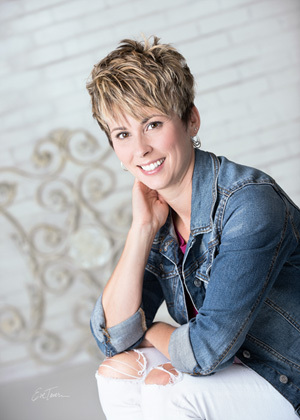 Owner, Crystal Hein, is a Dietitian/ Nutrition Educator and Coach who provides nutrition and behavior counseling for general nutrition and wellness needs, weight loss and various medical conditions for adults and children. Registered Dietitians are the best qualified health professionals to deliver Nutrition Education and Medical Nutrition Therapy (MNT). MNT is beneficial for disease management of diabetes, high blood pressure, high cholesterol, digestive disorders (IBS, Celiac Disease and Crohn’s Disease), food allergies, gluten intolerance, cancer, eating disorders and hypothyroidism. I have been a Registered Dietitian for over ten years. 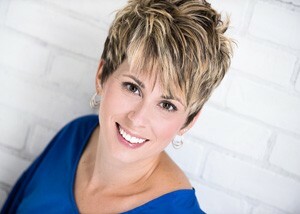 My passion is teaching, guiding and coaching my clients to live healthier lives- body, mind and spirit. I believe that being healthy is not just the food we eat, but encompasses our emotional well-being, our stress levels, our sleep patterns, our relationships, our spiritual or religious paths and beliefs. On a daily basis, I tell my clients that “everybody is different” which means there is no cookie cutter approach to healthy living and nutrition. As your Dietitian and Coach, I will help you assess the complete picture and together we will devise a Crystal Clear healthy living plan designed just for you. As part of my approach, I like to teach my clients how to make small, realistic changes in their lifestyle. I feel all foods can fit into a healthy way of eating- there are no good or bad foods. I do feel that there are good, better and best food choices. I also teach and live by three principles- moderation, variety and balance. I completed my undergraduate studies at The State University of New York College at Oneonta. I went on to complete a Master’s degree in Nutrition Science at Syracuse University. Part of my graduate work included being a graduate assistant for undergraduate Food and Nutrition courses. While at Syracuse University, I also completed a mandatory dietetic internship. In 2012, I completed The Adult Weight Management Training Certificate Program through the Academy of Nutrition and Dietetics. I am a Registered Dietitian through the Commission on Dietetic Registration and a Certified Dietitian- Nutritionist through The University of the State of New York Education Department. I have worked in a variety of settings: hospitals, colleges, outpatient counseling centers, nursing homes, grocery stores, pediatric practices and a psychiatric hospital. Along with counseling clients in my own private practice in Herkimer, NY, I work for CNY DDSO. In the past, I have provided nutrition consulting services for Madison Cortland ARC and Herkimer County HealthNet, as a Lifestyle Coach for the National Diabetes Prevention Program through the Centers for Disease Control and Prevention (CDC). In my free time, I enjoy exercising. I like variety when it comes to my physical activity. I attend various group exercise classes at local gyms, run, bike, swim and do yoga. I have completed 8 triathlons over the past few summers and hope to participate in future events. I enjoy camping, gardening, cooking and spending time with my family and friends. I love music and attending live music events. Registered Dietitians are the nutrition experts. The RD credential indicates that specific academic and professional requirements have been met. These include completing a bachelor’s degree approved by Academy of Nutrition and Dietetics, Commission on Accreditation for Dietetics Education, a Dietetic Internship (1,200 hours of supervised practice) and passing a national examination. RD’s must complete 75 hours of continuing education every five years to maintain their registration. Registered Dietitians are the only professionals authorized to prescribe Medical Nutrition Therapy. There is no standard definition or qualifications for “nutritionist”.